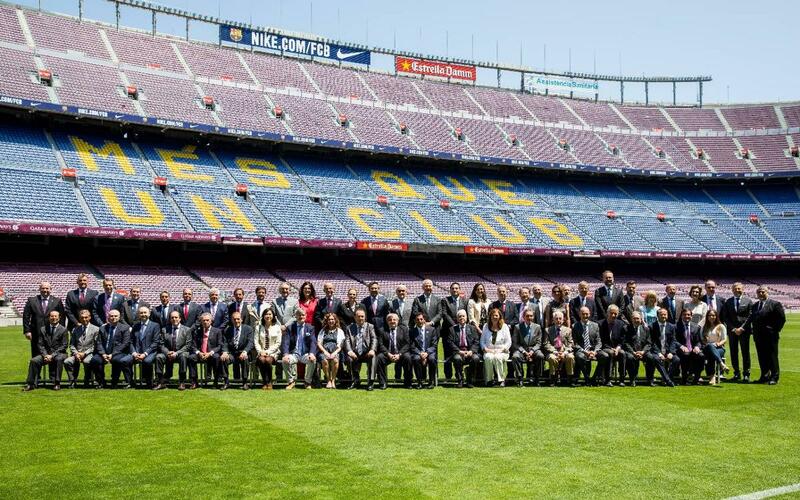 Some fifty consuls based in Barcelona and representing countries from Europe, America, Asia and Africa were at the Camp Nou today by invitation of president Josep Maria Bartomeu to enjoy a dinner in the restaurant on the stadium terraces. The longest serving consul in Barcelona, Franca Lorela Deza from Peru, went on to say that “it is my honour to speak on behalf of the consuls that have been kindly invited to diner here today to get to know the club better. As well as representing our countries in this city we are also able to enjoy watching one of the best football clubs in the world. I have discovered a club with a global outlook that was founded by a Swiss gentleman … Barça has set an example for international integration and we are all permanently hanging on its successes and adventures, while in our own countries people also follow LaLiga, the Copa del Rey and the Champions League”.